Could there be another invest/area of interest for April?? NOAA is hosting 4 Webinars in May for the 2017 Hurricane Season. Anyone can register. Good find! Sounds like something I might join up and watch. First Webinar is tomorrow at 8 AM Central Time. Go register if you are interested in what NOAA has to say regarding the 2017 Hurricane Season. Very informative webinar from NOAA today. 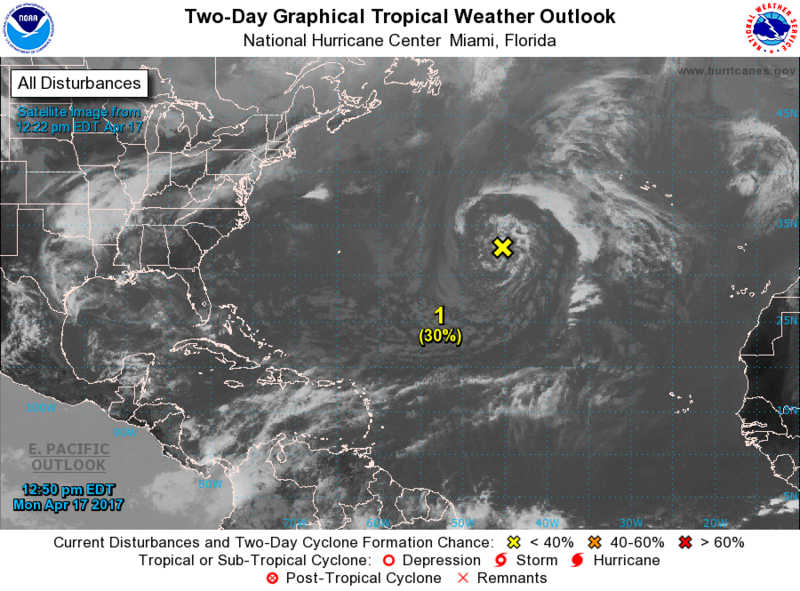 If tropical weather or weather satellites, forecasting, and weather imagery is something you are interested in, definitely go take a look at their webinar series. They have three more. I will try to post the slides from today's webinar when I can get them. The GFS wants to try to start a weak system up in the western Gulf this weekend, but it goes away pretty fast. I do not like this new "potential tropical cyclone" stuff coming from the NHC. It just adds confusion. There was nothing wrong with the way it was done before. Tropics look to heat up again during the week of the 4th. 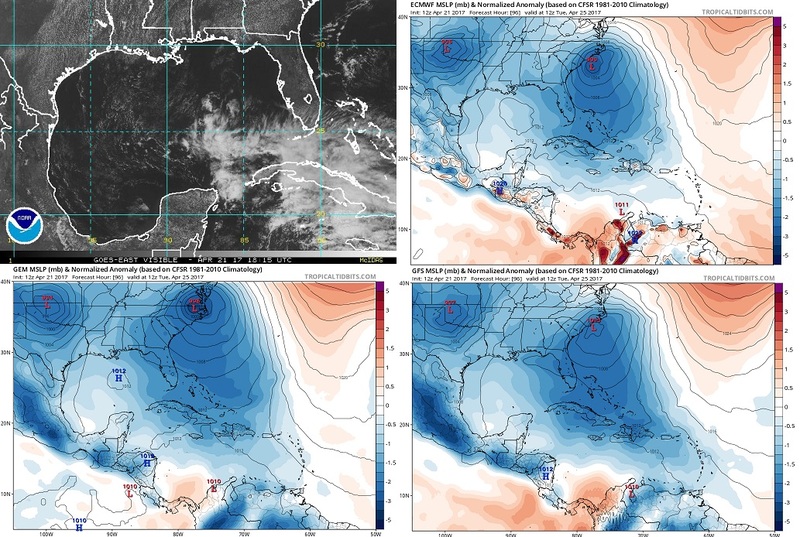 The GFS has shown development in the GOM for several runs, and has moved it forward in time. Fair amount of ensemble support too. Definitely not the biggest fan either, and the little group of weather friends I was talking to on Facebook was pretty much lost and confused too... not the greatest thing ever at least not yet. I was really high on the idea on paper in the off season(for the invests that take forever to develop and you just know they'll threaten land), but this was kind of weird. In the long range, around the 15th, the GFS spins up low-level vorticity at 50W 10N, and it looks like environmental conditions improve for development in the Caribbean. It'll be interesting to see what comes of this time frame, and further on. I've seen several GFS ensemble members show a rather robust storm threatening the US. Stronger earlier in time this run than the last. The disturbance has looked healthy over Africa the past few nights.